Order everything you need for a successful sales event! Window Signs, Furniture Tags, Tag Guns and more. Also, check out our Sales Education Materials that include books, product guides and audio courses. Use Promo Code FWORLD-5 To Order Furniture Tags Online with a 5% Discount. New 4-color furniture sale tags with proven-effective sales messages. Mix and match. Great quality and prices. Eye-catching string-tags have 3" elastic string for quick and easy tagging. Plus a reinforced hole with metal eyelet for long life! Mini sold and hold tags. Reusable plastic window signs that will boost your store traffic year after year. Tagging Accessories Reusable plastic window signs that will boost your store traffic year after year. 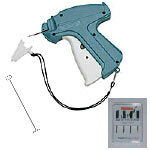 Tag Guns, Loops, Pins, Sign Holders. Everything you need to display your tags. 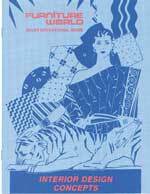 Books by Peter A. Marino on selling bedding. 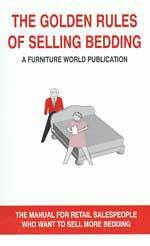 Furniture Worldʼs popular 16 page sales guides help train styles, product knowledge and design skills. Three multi-part audio courses that can help your sales and design associates make more sales. Don't See the Point Of Sale Items You Need Here? Call Furniture World at 914-235-3095 or email sales@furninfo.com to get information on Furniture Banners, Penants, Yard Signs, Patriotic Flags, Furniture A-Frame Signs and Custom-Made Tags, Signs and Banners. We will be glad to help.